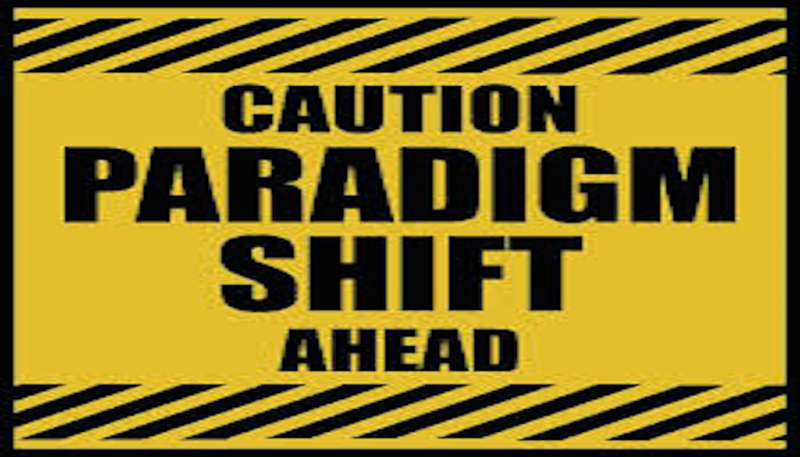 Readers of my previous blog posts will have observed that several of them relate to paradigm shifts within the venture capital industry, and more broadly to a shift in the way venture backed companies are funded. Shift happens. This shift has also precipitated a crisis for those investors in venture capital funds who have been investing based on a paradigm that no longer applies. I am referring to the dominant “it’s all about access to the top groups” paradigm. This paradigm came of age in the late 1990s, when venture returns were exceptionally strong, fueled by returns from companies engaged in the buildout of the internet infrastructure. Return persistence was exceptionally high during this period, as network engineers started companies to develop communications products and then sold the companies at tremendous gains, often within 24 months. Twelve months later the same engineers would start the next one. Once a VC was in this cycle they were highly likely to be invited to the next startup – an unfair advantage if ever there were was one. It was during this period that the idea of the Top 20 list emerged. The Top 20 list was derived from the best performing funds of the time, and it proved to be in the best interests of many parties to promote the idea that successful portfolios were necessarily built from the Top 20 list. As access to those 20 names became increasingly difficult, the dominant paradigm became that venture capital is only worth doing if you have access to those Top 20 names. The haves held a clear advantage over the have nots. For a brief shining moment, the assertion was true. In fact, it was almost a tautology. Given the high dispersion of returns in venture, a portfolio that did not contain healthy servings of the 20 highest performers had no chance of outperforming. And, importantly, a well diversified portfolio could easily be assembled from 20 names. It’s all about access to the top early stage venture groups, and given the persistence of returns in venture the names of those top groups never change. Let’s take a look at what’s happened since. First, innovation moved up the stack. Optical fibers connect the world, 3 billion people own mobile supercomputers (i.e., smart phones), and software has become incredibly efficient to write and deploy. These transitions opened up new opportunities where few investors enjoyed unfair advantages. Not surprisingly, fund return persistence came down. Many of 1999’s “Top 20” funds are no longer in business or struggle to raise funds. For many investors in venture funds, however, it’s still all about the top early stage brands. There just aren’t 20 anymore. Or even 10. The prevailing wisdom seems to be that the original 20 have dwindled to about 5, including one new entrant. All are access constrained. Even on its face the paradigm is showing cracks. How much of a portfolio can be in five names, particularly the five most sought after names in the industry? An investor with a .5% exposure to a Top 5 name can certainly tout its access, but that portfolio’s performance will be completely driven by the other 99.5%. Meanwhile, shifts in the structure of the venture industry have placed the paradigm under even greater stress. As discussed in my previous blogs, early stage investing has largely become the province of Micro-VCs investing in seed rounds. They weren’t even on the map when the paradigm was developed, and so it makes no allowances for their existence or place in the food chain. The traditional venture industry, including the top brands, still invests in A rounds, but the typical A round company today has revenues and demonstrated market traction – which is not early stage. For convenience the diagram below reprises the diagram explained in my earlier blog posts. The Top Brand paradigm is built on the superiority of early stage investing, but it’s silent on Micro-VC. As a result, investors who have adhered to the Top Brand paradigm have missed out on the high returns produced by Micro-VCs – and indeed no longer have meaningful early stage exposure at all. Ironically, a variant of the Top Brand paradigm now applies to the universe of Micro-VCs. Of the now several hundred players, a handful have distinguished themselves and now enjoy the kind of return persistence and limited access enjoyed by the early stage venture brands of the late 1990s – and for the same reasons.